Children’s Fire Safety Studies conclude…. 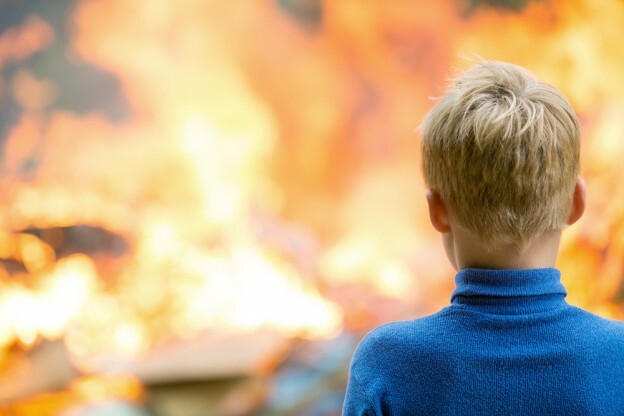 A study into Children’s Fire Safety has concluded that some young Children do not wake to the sound of a smoke alarm, studies support the theory that a certain percentage do not respond universally to the sound of a standard smoke alarm operating. Derbyshire Fire & Rescue Service Watch Manager Dave Coss commenced his research into children not waking to the sound of smoke alarms in conjunction with Dundee University. Over 600 children were involved in the study which tested responses to both a standard alarm and a low frequency sound using a human voice. Male and Female and 0-9 years and 10-16 years old. 77% woke to the new sound. Speaking following these findings, Watch Manager Dave Coss said: “As a fire investigator, tragically I have come across incidents where children have lost their lives. One of the first things we look for in any fire investigation is whether smoke alarms were present, and if they were activated. Shaun Bennett, Derby Homes, Director of Investment & Maintenance said: “Having experienced the tragic loss of children to fire within the city we supported this research jointly with Efficiency East Midlands in the hope that lives would be saved in the future.